poets and musicians, from Chaucer to Wordsworth, from Handel to Respighi. Birdsong can be a natural phenomenon of intense beauty. But our enjoyment is incidental to the main purpose, which is one bird communicating with others. Birds became the world's master musicians in order to convey to potential mates, rivals and predators all the important things they have to say, from "Clear off!" to "Come on!" And their songs have been shaped by their environment, just as the rap musician of New York delivers a different "tune" to the yodeller in the Swiss mountains. The musical detail would have impressed the great composers. The nightingale, for example, holds up to 300 different love songs in his repertoire. The canary may take 30 mini-breaths a second to replenish its air supply. The cowbird uses 40 different notes, some so high we can't hear them. The chaffinch may sing his song half a million times in a season. Indeed, British musician David Hindley slowed bird song down and discovered parallels between the skylark's blizzard of notes and Beethoven's Fifth Symphony; between the woodlark's mind-numbingly complex song and J.S.Bach's 48 Preludes and Fugues. It changes its tune according to the rules of classical sonata form. 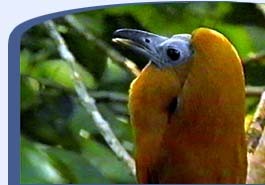 Song allows the bird to "speak" better than and other family of creatures. It is the perfect medium for communicating over long distances, or when it is hard to see the singer - and the audience: for example at night or in dense vegetation. Whatever the habitat, birds have a way of singing into it. When a bird sings, it can always be heard, even after it has moved out of sight. Sound travels in all directions; it can penetrate through or around objects. But how do birds produce such a complex variety of notes? How do they sing non-stop for minutes on end without pausing to catch their breath? The vocal skill of birds derive from the unusual structure of their powerful vocal equipment. The syrinx is the sound-producing organ in birds. It is the equivalent of the human sound box. The syrinx contains membranes which vibrate and generate sound waves when air from the lungs is passed over them. The muscles of the syrinx control the details of song production; birds with more elaborate system of vocal muscles produce more complex songs. But unlike our soundbox, which is situated at the top of the trachea, the bird's syrinx is set much lower down, at the junction of the two bronchi or air tubes leading to the lungs. This means that the syrinx has two potential sound sources, one in each bronchus. The separate membranes on each bronchus produce separate sounds, which are then mixed when fed into the higher vocal tract. This complex design means that birds can produce a far greater variety of sounds than humans can. Birds give the impression of singing in long bursts for minutes on end without catching their breath. But they actually do this by taking a series of shallow mini-breaths, which are synchronized with each syllable they sing. However, birds must work hard to get their particular message across. There is a lot of competition in the avian choir. 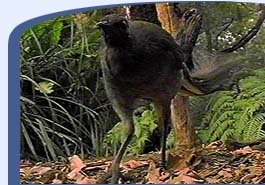 The Superb Lyrebird is thought to have the loudest bird call in the world. The bittern is not far behind. Its loud, booming call is one of the farthest travelling of all bird songs. It calls relentlessly both day and night from deep within the reed bed, hoping to attract a female into his territory. The kakapo has one of the most far-carrying songs of any bird. It sings from an amplification bowl that it tramples into the ground. The bird sits inside this bowl, slowly inflating its two enormous air sacs, sucking the air in with a whistling sound, until it is almost double its normal size, as big as a football. He then starts to transmit the most amazing message that can be heard as far as four miles away. He may boom all night for three months to attract females in the area to his display court. Birds use sounds that travel better in particular conditions. In forests sound bounces off trees and is absorbed by the leaves. Here a constant brief signal works best. If the intended recipients mishear it the first time, they will surely catch it again. Birds of the forest floor, such as antbirds and curassows, use low-pitched calls that will not be bounced off and distorted by the ground. Out in the plains species like the Savannah Sparrow favor the buzz. The buzz is a compressed message which carries over great distances in open areas, savanna and grassland. Running water produces a lot of interfering background noise which makes hearing any other sounds quite difficult. The high frequency calls of New Zealand blue ducks cut through the bubbling and rushing sound of the water. In the open, sound travels best a meter or so above the vegetation. Many small birds therefore sing on elevated perches high in the vegetation to minimize interference from the ground and foliage. The nightingale sings its beautiful, melodious song from a branch on a tree, from where the song carries a long way. The kakapo delivers one of the most far-carrying songs of any bird. Another performance ploy is to transmit the signal from above the vegetation by leaping up and calling from mid-air. The blue-black grassquit, a tropical grassland bird of South America, leaps clear of the grass during displays. In Britain, the skylark has solved the problem of few high vantage points in its habitat of open grassland. It soars high into the air to deliver its glorious warbling song, hovers then plummets down almost vertically. Skylarks actually uses song as a form of defense against predator birds such as merlins or peregrines. By singing, the skylark signals to the merlin that it is in good condition and will be a hard job to catch. Only a fit skylark can afford to sing whilst being chased by a predator. A human singer can use amplification to hide his or her vocal deficiencies. But bird song conveys a very honest message about the singer. The singer can't cheat: because singing expends energy; smaller, weaker birds cannot bluff the receiver into thinking that it is a larger, stronger rival or mate. Only strong birds with extra energy and strength can invest the energy need for loud, continuous singing, and evade any predator that may detect it. The Australian musk duck emerges from the reeds to brodcast his message across the lake. Listen to the musk duck. The best time to hear bird song is at dawn. The dawn chorus is one of the marvels of nature. Birds all over the world show the greatest amount of singing activity around dawn, from English woodland to tropical rainforest. But why they do it is still not clearly understood. One reason may be that dawn is the best time for sound to travel, because there is little wind and less other noise and disturbance. Songs broadcast at dawn can be 20 times as effective as those broadcast at midday. And this is a time when birds can't do much else. Light intensity is low, making it difficult for them to hunt and forage. 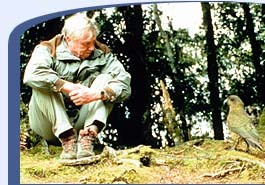 Low temperatures keep their insect prey on the ground. By singing at dawn, when their energy reserves are low after the night, male birds may be telling females that they are nevertheless still fit for breeding. A male singing lustily is demonstrating that he has spare energy in abundance. Dawn may be a good time to sing, but there is likely to be a lot of vocal competition. So there are advantages to singing at a different time of day, particularly when two different species have similar songs. Two birds of the Californian chaparral, the wrentit and the Bewick's wren, share the same habitat, and also have similar songs. But they manage to alternate their singing bouts so that they are never in direct conflict. The Bewick's wren starts the session in the morning and dominates the airways for the first hour. The wrentit stays quiet to avoid competition, but gets his turn sing in the second hour, after which the Bewick's wren starts again. And so this astonishing sharing of the stage goes on. Bird song travels best at night. 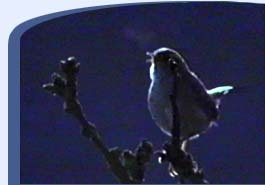 The few night songsters, like the nightingale, may dominate the airways for hours with their beautiful songs. But why do birds spend such a considerable amount of time and energy communicating with each other. What are they saying? The reason must be a very good one, because making a lot of noise draws attention to a bird and makes it more noticeable to predators. Bird song has two main functions: to defend a territory and to attract a mate. Male birds do these things, so, throughout the bird world, it is usually the males singing the songs. The wedge tailed shearwater is one of nature's night vocalists. In most species, a male bird owning a territory is essential for attracting a female and breeding successfully. Males claim a territory by singing in it. They generally use shorter, simpler songs for territorial defense. They are addressing their songs to rival males. These territorial songs carry over long distances and convey detailed information about the location and identity of the singer. Gaps in the song enable the singer to listen for replies, and determine where their rival is and how far off. Birds can distinguish neighbors from strangers by individual differences in their songs. Males use this information to concentrate their defense efforts. They will not react aggressively against a neighbor as long as he stays on his own territory. But a singing stranger could mean a threat to the territory; a strong response is required to see this potential invader off. When they are trying to attract females onto their territory, males become operatic. They sing longer and more complex songs. Females listen, but do not generally respond. Male great reed warblers, for example, sing long and elaborate songs when advertising for females. The females will spend several days visiting a selection of singing males before making their decision. They prefer to mate with males singing the most complex songs with the largest repertoire. Large song repertoires are an advantage in many birds, because they increase a male's attractiveness to females. The record holder must surely be the brown thrasher, with over 2000 songs in its repertoire. The sedge warbler produces some of the longest and most complicated of all bird songs. An individual male may never repeat exactly the same sequence of elements twice during the course of his life. He constantly varies the order in which he arranges the 50 or so elements at its disposal. Marsh wrens conduct singing duels for control of the best quality territories in the limited marsh habitats in the western United States. Males with the most complex songs do best and attract the most females. Males with larger repertoires are preferred by females and hence mate earlier than their rivals. On returning from migration the male sings almost continuously until he acquires a mate - then singing abruptly stops. He may then switch to a short simple and economical song to defend his territory. Imitating or mimicking the calls of other species is one way that birds can increase their own repertoire, and be more attractive to mates. They can also vary the order, sequence or repetition of phrases to sound more variable. The most renowned vocal mimics in the bird world include mockingbirds, starlings, mynahs, marsh warbler, lyrebirds, bowerbirds, scrub-birds and African robin-chats. Starlings in the Shetland islands in Scotland have been known to mimic sheep; in Oxford, England, they mimic buses. The lyrebird, which Sir David Attenborough meets on a log in a dense forest in Australia, is the bird world's best mimic. It can imitate 12 other birds. It does the whirring of a camera's motor drive and the click of a shutter. It repeats the engine of a car, and the din of a car alarm. It can even imitate the screech of the chainsaw wielded by the loggers coming to cut down its habitat. Some migratory species, such as the marsh warbler, have an international repertoire. These birds nest in Europe but migrate to Africa in winter. Although the marsh warbler imitates some European species, most of its songs are those of African birds, which it hears on the wintering grounds. The warbler may mimic the calls of over 70 bird species. Warblers are telling females where they spend the winter. 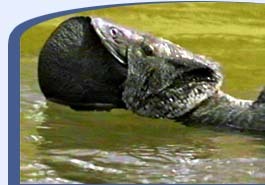 A female may find it advantageous to pair with a male adapted to wintering in the same part of Africa as she does. Although it is generally the male that sings to attract mates or defend territories, in some species the female joins in too. The female alpine accentor sings to attract males, because for her it is an advantage to mate with as many males as possible - each one will then help in caring for her young. The red-winged blackbird female sings two distinct song types throughout the breeding season. Song A is a form of communication directed at her partner. She sings Song B when other females appear; it seems to be an aggressive signal. Male European robins sing all year round. They have two songs, a longer more complex one to attract females in the breeding season, and a shorter simpler one to defend the territory in the winter. However, in winter, both sexes sing, because both male and female defend separate territories. They need these territories to ensure that each will have enough food to survive the winter. The female black-headed grosbeak seems to use song to give her man a scare. Grosbeak parents take turns in incubating the eggs. But if the male is late returning to relieve the female from her duty, she sings a complex song imitating a male grosbeak. This may be to trick her mate into returning by giving the impression that a rival male is on his territory. Ravens do a similar thing. Members of a pair learn each other's calls. When one partner is away or out of sight, the other will often call with it's mate's individual calls to relocate it and prompt it to return. In some species, the female may join the male in singing to defend their mutual territory. Both sexes will sing a duet in alternation. Duetting is particularly common in birds that maintain year-round territories and it helps in maintaining contact between members of a pair, in the dense and noisy environment of a tropical forest. African shrikes are famous for their musical, repetitive duets, sounding something between a bell and a horn. Each pair develops a unique duet "part", which they use to keep track of each other in dense vegetation, to maintain their territory and to synchronize their breeding cycles. The two birds are so well synchronized in their duetting, you would think it was one bird singing, not two. Magpie larks sing a duet to defend their territory in the Australian bush. One bird utters a loud metallic "tee-hee" that is immediately followed by the other's "pee-o-wee, pee-o-wit". The pair is so co-ordinated that the whole thing sounds like one song. In some species, an entire group of birds may join in a chorus song to defend the territory. Groups of Australian magpies produce a remarkable chorus, varying from quiet warbling to loud caroling. The white-crested laughing thrush also sings a group chorus. Each individual has its own phrase to contribute to the song: the result is like one bird singing. One of the most amazing performances comes from the lyretailed honeyguide. In the forests of Central Africa it flies above the tree canopy, sings and then spirals down like a roller-coaster from hundreds of feet up in the air. As it does so, it vibrates its tail and the rush of wind through its spiky feathers makes a loud drumming sound, audible throughout the forest. Whooper and Bewick's swans perform a noteable love duet. Nearly every day they confirm and strengthen their bond by a mutual greeting and courtship ceremony. Both partners join in a resonant duet that rings across the lake. The two stately birds swim to face each other and with beaks raised and wings uplifted launch into a wild clangor, the female replying to the quick honking of the male with repeated notes half a tone lower. Song is certainly a way for a young man to get on. Consider the D'Arnaud's barbet, an African species, master of the art of singing in harmony. Barbets live in groups of 3-6 birds, with one dominant male and female. The male and female sing an intricately synchronized duet. The other members of the group are forbidden to join in. But should the male be away for too long, one of the other males quickly moves in. He immediately begins singing the song that had been reserved for the dominant bird. The female sings her part and the two begin to form a new pair, synchronizing their duet more precisely. But should the former male reappear, the new bird becomes a subordinate member of the group once more. White-browed sparrow weavers sing group choruses, which they use to defend their territories. Remarkably, each bird is an expert sound mixer. It can also produce the whole chorus on its own. The sound produced by one individual will sound as complex as that produced by nine. Bird song is a deep and complex subject as well as a gloriously uplifting one. There is much scientists still do not understand about it. In the meantime -- enjoy.